If you are in the process of refurbishing your office, you have to consider what storage solutions to implement during the process. 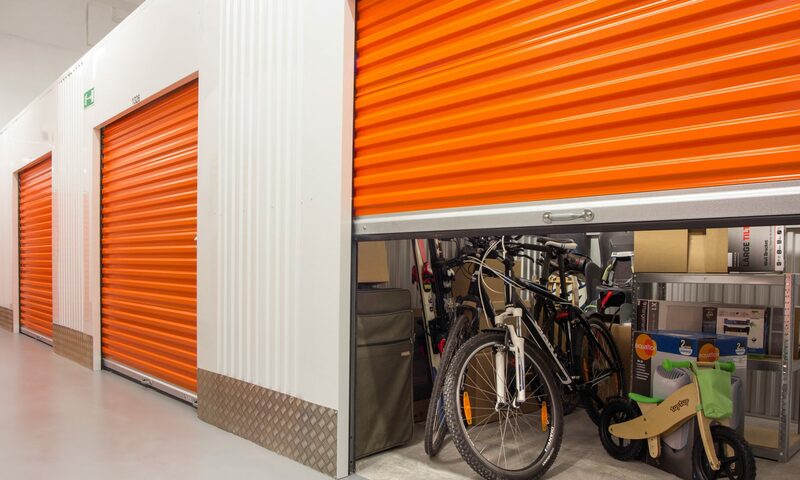 You can either choose to rent out storage units at a remote location to hold your files and furnishings, or your can have mini steel storage units delivered to your office location. Can You Store Certain Files Online? Fortunately, most companies, if they are meeting their technological requirements, are taking advantage of the Internet for cloud storage and back-up. Therefore, they do not have to house as much information in an outside storage facility as the files are already maintained on their computer database. Therefore, when it comes to seeking a storage solution, you need to determine what, specifically, you will be storing or if, in fact, certain items may be relegated to the trash bin instead. If you can scan and file certain content on the computer, then you will save a lot of time and energy in physically storing the material at a storage facility. Space planners, such as SaracenInteriors, recommend using the cloud for filing to support a new office design. Computer storage and backup today is a necessity, especially if a company wants to stay solvent. Companies who are up-to-date reduce risk by making use of cloud back-up and similar solutions on the computer. Therefore, you should make full use of today’s technology to cut down on the amount of files or content that would otherwise be filed and stored in a brick-and-mortar storage facility. Files stored in remote back-up locations are also safer and more secure. With respect to office furnishings, you will need to seek out a storage solution in the form of a facility that is close to your office or which can be placed on the grounds of your business address. It probably is safer to choose an outside facility as you can keep the stored items behind a secured access gate. De-cluttering your place of business before a remodel can help you determine exactly what you need to place in storage. Some of the items you may have acquired will no longer be useful when your office has been remodelled and re-designed. De-cluttering will enable you to get used to streamlining your filing and optimising the technologies that are already in place. Therefore, when choosing storage solutions, first decide on what items can be donated for recycling or thrown in the trash and which files or items you plan to store in a storage unit. Make sure that the storage unit is ventilated to preserve any old documents that need to be kept or scanned. If you can pare down the amount of items or materials that need to be physically stored, you can make the transition into your new office space much easier when you finally settle in with your electronically stored files and workplace tools and apps.